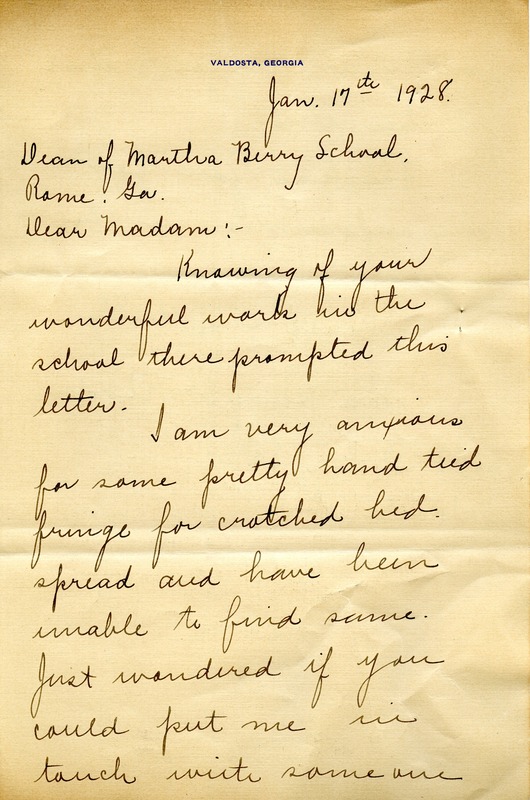 Mrs. Rhodes writes to ask for a recommendation of someone who makes hand tied fringe for bedspreads. 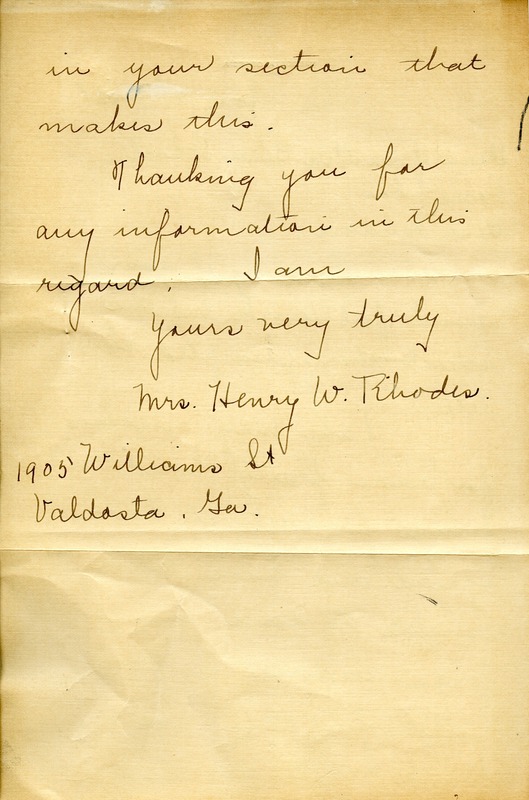 Mrs. Henry W. Rhodes, “Letter to Martha Berry from Mrs. Henry W. Rhodes.” Martha Berry Digital Archive. Eds. Schlitz, Stephanie A., Chelsea Risley, et al. Mount Berry: Berry College, 2012. accessed April 23, 2019, https://mbda.berry.edu/items/show/10859.